The message about map sharing is no longer displayed when operators log in. Players can download parkour maps from creativeparkour.net. 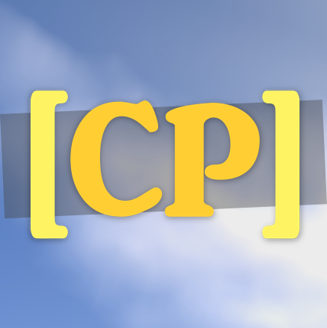 Downloadable maps are displayed in the map list or players can browse the list the new creativeparkour.net website. You have to register your server, type "/cp config sharing". Players can share their maps to creativeparkour.net. The magic wand has been replaced by the WorldEdit wand (WorldEdit is required). "/cp fill" now accepts ids (it works like in WorldEdit set command). Everyone can use this new wand securely when building a map. Added "/cp undo" and "/cp redo" to undo or redo changes made by the WorldEdit wand. Added "creativeparkour.worldedit" permission to allow or disallow players to use the WorldEdit wand (everyone is allowed by default). Players can rate maps by difficulty (very easy, easy, medium, hard or extreme). The average rating is displayed in the map list. Maps can be sorted by name, difficulty or creator in the inventory when a player types "/cp play"
"o" can be written instead of "optional" on optional checkpoint signs. Players can do "/cp play" and "/cp create" while being in a map to teleport to other maps. Improved the configuration process on first use of the plugin.